SPF-12BNCF is rated 4.3 out of 5 by 7. Rated 5 out of 5 by victorjs from just what I needed I got these a week ago working great just what I need to make the wires longer!! Rated 5 out of 5 by jhonatan from muy buen producto compre este producto en la costo, y me ha funcionado de maravilla, unas de las camaras debía ser installado en un lugar remoto, y me comunique con los representates de esta compania, y me pudieron conseguir un adaptador para conectarle un cable mas largo! lo recomiendo el producto y esta muy accesible! Rated 5 out of 5 by jackmoo from Overall Great Experience It was easy to find what I needed on the website and easy to order. Delivery was prompt and included what I was looking for. Rated 4 out of 5 by Dannyo from Connector The parts worked great only wish that shipping was a little faster. I want to order more video cables and they are no longer showing up??? Good Afternoon, we are sorry you are having issues locating the cables on our website. Please follow this link https://nightowlsp.com/cab-ul2-100vpa.html so you may check out our Night Owl BNC cables for your Night Owl System. Thank you for choosing Night Owl. I am buying 1000 ft. of RG-59 coaxial cable. What web site can I buy the connectors from so I can have them professional put on each end of the cable, or can I do it myself. It is for a night owl..
You may purchase our Night Owl BNC cables along with our Night Owl connectors and install the cables to your Night Owl System. We do not guarantee third-party compatibility between the cables you mentioned and our Night Owl products. If you have any other questions, feel free to contact us by calling 1-866-979-0580. Thank you for choosing Night Owl. Do these adapters work on the power book up end of the cable? Since the cables come with two cable hook ups on each end of the cable, one for the camera and one for the power. And the picture shown only shows the camera portion being conected. The power portion of the BNC cables do not need an extension adapter. They connect right up. The yellow video portion does need this BNC to BNC connector adapter. Again, these are only to be used when you are attaching 2 BNC cables to each other. Thank you for choosing Night Owl! Will these work with the 3MP systems? Yes, these extension adapters are compatible with all of our BNC cables. Please ensure you are using the CL2 In-Wall rated cable with any of our DVRs over 1080p. Thank you for choosing Night Owl! Your product comes with a One Year manufacturer's warranty. Please contact 1-866-390-1303 at your convenience. One of our techs will discuss the issue and then arrange a warranty claim for you. If you are outside of the One Year warranty period, then I would recommend purchasing a replacement cable for the damaged one. See cable link below. http://nightowlsp.com/products/cables-accessories/cables.html Thank you for choosing Night Owl! Is there an adapter to extend the length of a 60ft cable? These are extension adapters. However, most of our extension cables include one of these adapters for connectivity. 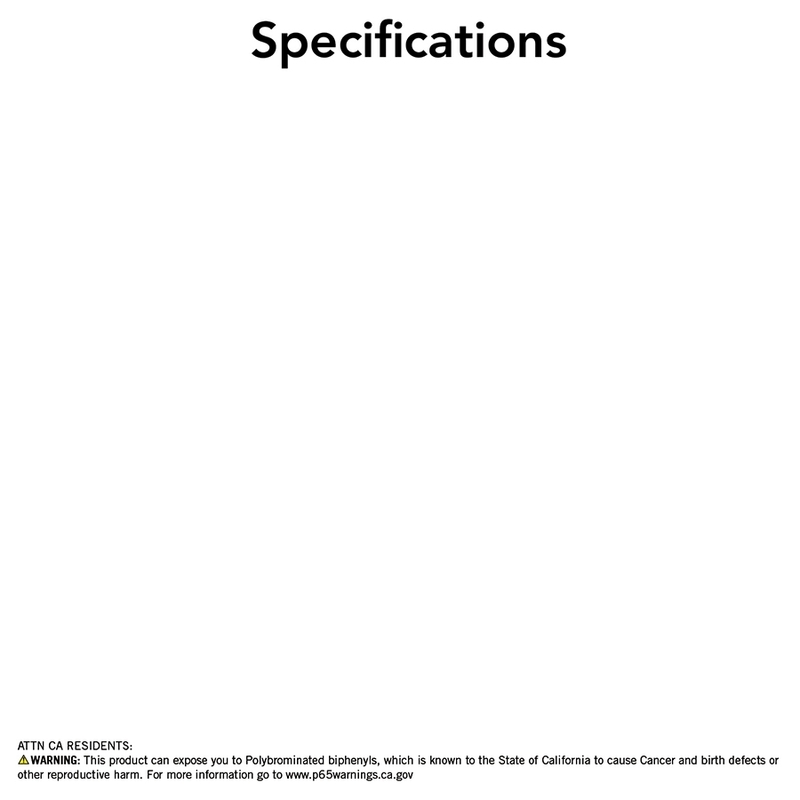 Please view the following 2PK of 60 ft. cables as one option. http://nightowlsp.com/products/cables-accessories/cables/cab-2pk-24awg.html Thanks for choosing Night Owl! 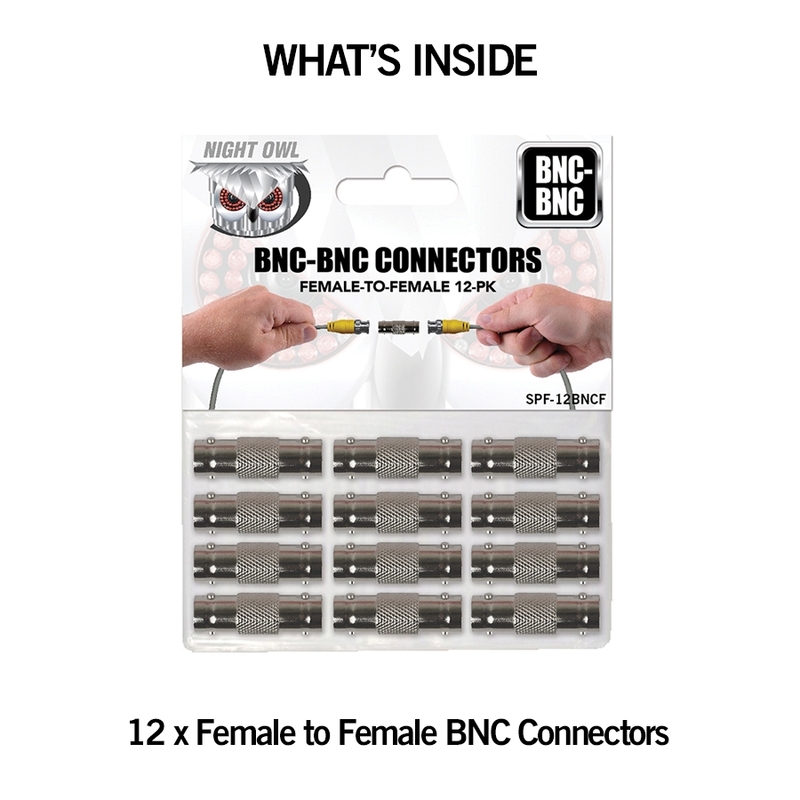 Regarding your SPf-12BNCF (12 pack of cable connectors), they are labeled &quot;female to female&quot;. Shouldn't this be female to male? Also, do you have longer &quot;four into one&quot; cables? They should be female to female as they connect the male ends of the BNC video connectors. The longest cable extension that we currently sell is 100 ft. Please see the below link. http://nightowlsp.com/products/cables-accessories/cables/cab-24awgg-100vp.html Thanks for choosing Night Owl!